Are you a cannabis user in the Coachella Valley who is ready to step out of the shadows and find community? Are you longing for the gone days of the golden years of socializing? Huzzah! 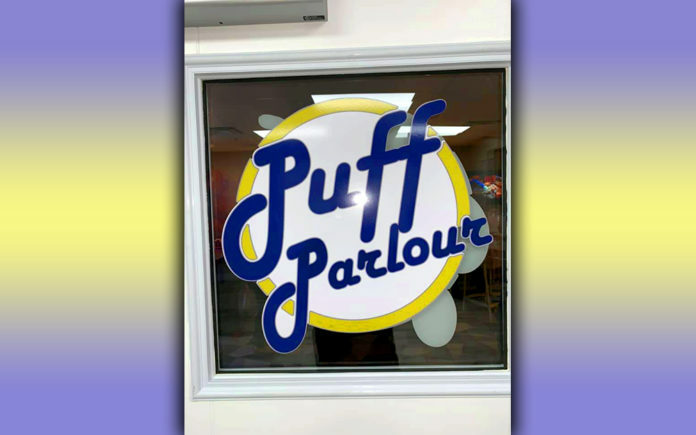 You’re in luck because now you can quench your nostalgia for a good time at the Puff Parlour located on the corner of Ramon and Landau in Cathedral City at the Ramon Towers. Whether you’re looking to gather your friends or looking to meet new ones, the Puff Parlour is a welcoming and modern take on a cannabis lounge. Here’s how it works–head over to Dank DePot and allow The Green Ladies (@thegreenladies_) to help you decide what you’re going to smoke on, complete your purchase, and head back into the waiting room where you enter through a door with words “Puff Parlour” on it. The Parlour is a sleek and atmospheric room fit with comfortable couches, a large table for community building, televisions, arcade games, and most importantly, a Green Lady waiting to help you decide which glass to toke out of or roll a joint for you. I stopped by during their grand opening and was beyond pleased with the aesthetic, comfort, and welcoming nature of the Puff Parlour. Inside were various brand ambassadors offering tastings of their products, new and old friends gathering and passing joints, a live artist creating, and an arcade table with every old school game you could ever want to play after ripping the bong. I approached Dakota from Flavor Concentrates and had a dab of Sour Tangie. 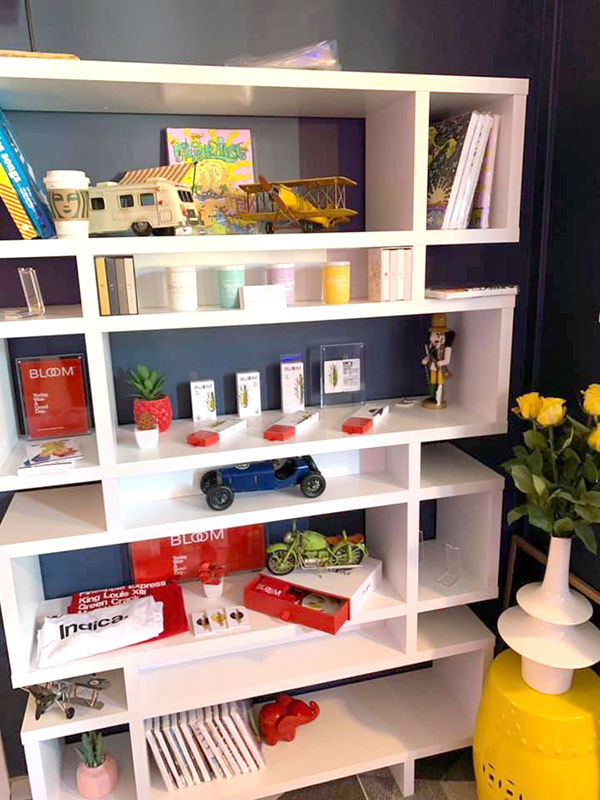 Once elevated the space offers everything you need from beverages to games and more. Owners Ruben Harutyunyan and Sahak Ghaghian wanted the Puff Parlour to feel inviting and warm and it is exactly that. Indeed the space feels as though you have stepped into a time capsule to an alternate 1950s where cannabis was embraced. It’s aesthetic matches that of Johnny Rockets, Ruby’s Diner, or a A&W Restaurant with its all-American feel meets a modern and hip slate color palette. From the colorful glass pieces waiting for you to use them to the comfy couches, The Puff Parlour will be enjoyed by all walks of life. Interested in making a day out of it? Schedule a game over at the Palm Springs Lanes after and enjoy 2019. Consume responsibly. Previous articleThe ABC’s of CBD – Part2: What does CBD do?